Do Your Shocks & Struts Need To Be Replaced? Wondering when to replace your shocks & struts? Years of testing and proven research have shown that at around 50,000 miles, original equipment shocks and struts MAY be worn to the point of needing replacement. There are many determining factors that can effect when they need to be changed but typically it depends on your vehicle and driving conditions. Want to keep your ride rolling smooth, safe, all while saving as much as possible on gas? Then keeping up on your shock & strut replacement service intervals is key. If you’re in need of shock and strut replacement in Plainfield, Naperville, Bolingbrook, Romeoville, or any surrounding Chicagoland bring your car, van, suv, light & medium duty truck, classic, domestic & foreign vehicles A-Z, to Last Chance Auto Repair the local shock & strut expert. Call our team today to schedule an appointment. If your vehicle’s mileage exceeds 50,000 miles, it may be time to consider replacing your shocks & struts and or it would be a good time to get them inspected. Worn suspension components may diminish stability hence the safety of your vehicle all while reducing driver control. Replacing your shocks and struts accordingly provides, enhanced handling, better control, greater stability, shorter braking distances, better fuel economy and most importantly a safer more comfortable vehicle. You break it, we’ll fix it. domestic & foreign A-Z. Don’t break it, maintain it at Last Chance Auto Repair. If you’re not sure when to replace your shocks & struts, give us a call or stop by, our team at Last Chance Auto Repair has all your suspension needs covered. Our experts will help you determine if and when your shocks & struts need to be serviced, and then get on it or schedule it accordingly to whenever best suits your needs. Time To Replace Your Shocks & Struts? Is it time to replace your shocks & struts Plainfield, Naperville, Bolingbrook, Romeoville, Chicagoland, Illinois, near me, near you? Check out our shock & strut replacement cheat sheet below to see if your due for new shocks & struts. When Should My Shocks & Struts Be Replaced? The answer of this question can’t be answered precisely because the interval for replacing shocks & struts will vary depending on the vehicle’s year, make, model, and driving conditions. We recommend you 1st check your owner’s manual (service schedule) for manufacturer-specific service recommendations. Can’t find the manual or just don’t feel like looking? Last Chance Auto Repair has you covered, will let you know what you need. Time to schedule an inspection with the shock/strut expert near you? 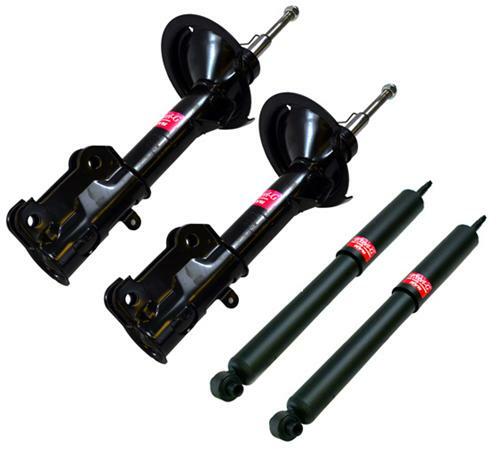 Need shocks & struts? Does your ride feel like it’s getting bumpier and bumpier day after day? Is your vehicle starting to pull to one side? Is your vehicle excessively bouncing after hitting a speed bump, pothole or wavy patch of road? Are your tires starting to wear funny and or quicker than they should be? Your shocks & struts may be due for replacement. Does any of this seem familiar? After reading the above information do you think your vehicle is due for new shocks and or struts? Still not quite sure? Contact us and schedule an appointment for a free (with any paid service) evaluation.